For more than ten years, translator Lucia Graves had been translating her father’s poems and novels from English to Spanish or Catalan. On December 7, 1985, she was living and working in Barcelona and thirty-four words stood between Lucia and the completed translation of her father’s book, Wife to Mr Milton. As she searched for the right words, she sensed her father’s voice. She found the words she needed, and completed the translation at around ten in the morning. At about that same time, across the Mediterranean on the island of Majorca, her father, famous poet, scholar, translator, and writer Robert Graves was taking his final breath. The Graves family moved to the island of Majorca when Lucia was three years old. She says, “Spain is my ‘mother culture’–the culture in which I feel most at home—whereas, English is my mother tongue.” The child of a British family in Spain, Lucia spoke English in their home, but she lived like a Spaniard, speaking Majorcan (a variant of Catalan) with the locals and formal Spanish while in school. Lucia’s professional career as a translator started in 1971 when she was commissioned by a Barcelona publisher to translate her father’s novel Seven Days in New Crete (Watch the North Wind Rise in the US). The transition from his voice to hers happened partially because the words were transforming from English to Spanish, but there was a personal transference, too. Lucia writes in her memoir, “The closer I came to my father through his books, the further apart he grew from me in real life.” While translating her father’s work, Lucia was forced to lean mostly on her recollection of his voice and her growing talent as a translator. Starting in about 1975, Robert Graves had begun to lose his memory, and Lucia lost her ability to bounce ideas off her father as she translated his work. She was perfectly prepared to be the means through which stories moved between and among cultures. She found herself a bit lost in that world, however. Because of the ease with which she travelled through all of those words/worlds, she began to occupy a space only translators might fully appreciate. Great stories depend largely upon the language in which they are written, but effective translation can bring those stories to life in a new way. It is a journey uniquely travelled by translators and can often be all-consuming. Lucia has translated more than thirty volumes. 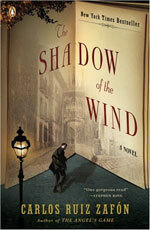 She is the translator for Carlos Ruiz Zafón’s worldwide bestselling novels, among them The Shadow of the Wind and The Angel’s Game. Accompanied frequently by dictionaries and text, Lucia considers translation to be less lonely than other writing ventures. In addition to the textual tools she uses while translating, Lucia plays a lot of music while she writes and translates. After twenty years in Barcelona, Lucia moved from Spain to London in 1991. Since moving back to the land of her mother tongue, she has continued doing translations (now mostly into English) but has also chosen to spend time on her own writing. She wrote her memoir in the late 90s. Most comfortable with the language she spoke in her childhood home, Lucia wrote her memoir originally in English and later translated it into Spanish. “I find self-translation a rather strange, slightly uncomfortable experience; the line between author and translator becomes blurred,” she says. 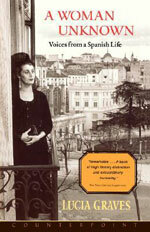 Following her memoir, Lucia published her novel The Memory House. The historical fiction novel set in fifteenth century Spain was originally written in English, but first published in her own Spanish translation. It has since been translated by others into Turkish and French. Lucia is currently working on another story set in fifteenth century Spain, and she looks forward to continuing to learn more about Spain and its rich history while exploring her unique voice that has grown out of translation. 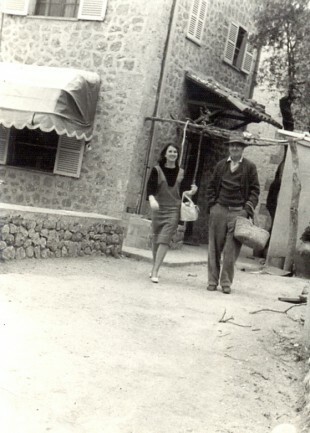 Photo: Lucia and Robert Graves circa 1960. Photo courtesy of Lucia Graves. it a mistake or just another mysterious incident, typical of his work? Perhaps you can throw some light on this. Again, I have fallen in love with his books that you’ve brought to life for me.